Our product liability attorney at Hill Law Firm has years of experience handling cases regarding automotive defect. Every year, a number of vehicle defects result in a great number of fatalities and serious injuries. Hill Law Firm founder, Justin Hill, has recovered a number of very substantial settlements for victims who have been injured or wrongfully killed due to vehicle defects. If you have been seriously injured or lost a loved one in an automobile accident, it could have been caused by a design or manufacturing defect. 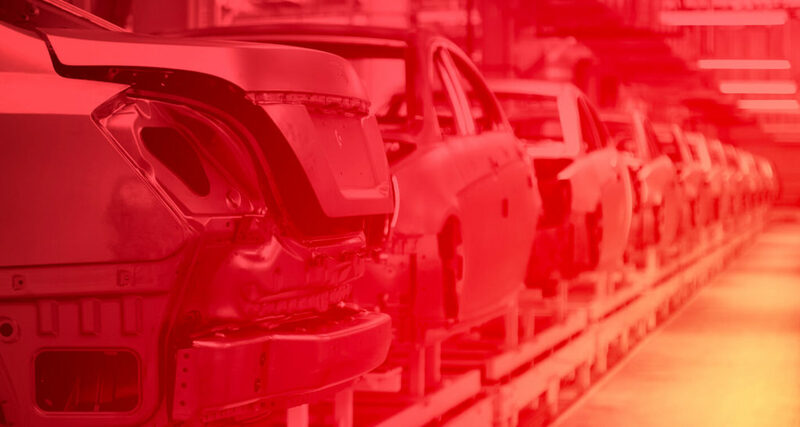 Product liability claims involving motor vehicles generally arise due to defectively manufactured vehicles or vehicle parts, or dangerously designed vehicles. Some defects that have lead to lawsuits include SUV rollovers and tires that are prone to blowouts. If you believe that your accident was caused by a defectively designed or manufactured motor vehicle, you may be eligible for damages. If an accident was the result of a faulty vehicle or vehicle part, you may have a claim based on defective manufacturing. Such a defect may be the result of an error made while the part was being built, or a problem that happened during shipping, at a dealership or at a supplier. If an accident was caused due to the inherently dangerous design of a motor vehicle, then a claim can be made based on a defective design. Lawsuits involving dangerous design can often involve parts or vehicles that have been on the market for a while before a defect is discovered. The manufacturer: Manufacturing companies may be liable for a product defect. These are typically larger companies, so they will have to resources to work with attorneys to refute your claim. It is important you obtain legal counsel as well. Any parts manufacturers: If you believe your accident was caused by a defective part, such as the tires or the battery, you will need to include the manufacturer of that part if it is a separate company from the manufacturer of the vehicle. A car dealership or an automotive supply shop: Whoever sold the vehicle or the specific defective part may be liable for damages if that vehicle or part is responsible for your accident. Shippers: Shipper or any other middlemen involved in the chain of distribution between the manufacturer of the defective vehicle or part and the dealership or other retailer where it was sold may be liable for damages. Airbags were designed to be a supplemental safety device to coincide with seat belts to help protect passengers during frontal collisions. The first airbags were introduced in the early 1970s. Their rudimentary design consisted of an inflatable bag that deployed during a frontal collision, but the airbags had design issues, which resulted in numerous fatalities. Due to these problems, auto manufacturers went back to the drawing board and re-designed this technology during the 1980s for mass production of gas-inflated airbags starting in the early 1990s. For photos of these various types of airbags and an illustration of the area of the body these airbags are intended to protect, visit here. Airbags have been mandatory in our vehicles since the 1990s, compliments of the Federal Motor Vehicle Safety Standards (FMVSS). FMVSS 208 regulates crash protection for occupants in various types of accidents, including seat belts and airbags. This standard uses crash test dummies to measure the loads placed upon the head, neck, chest and femur area of the dummy during a simulated crash. With a goal to decrease the loads placed on the dummy, auto manufacturers use airbags to fulfill that goal. Unfortunately, airbags are one of the most recalled components of an automobile. By March of 2013, Honda and Toyota recalled airbags in various lines of their automobiles, totaling 1.5 million vehicles. In 2012, the auto manufacturers set an all-time record for airbag recalls – 22 recalls covering 18 brands of automobiles. Most people don’t realize that once your airbag deploys in an accident, it is a very complicated process to reinstall the airbag so that it will offer the same protection the next time you may need it. Not only may the bag itself need to be replaced, but the vehicle needs to have several other airbag components serviced at the same time. Often times, repairs are made by facilities that do not perform a thorough check of the airbag prior to returning your vehicle to the road, resulting in a non-functioning airbag that provides no protection during a collision. Anyone buying a used car should research whether the vehicle has ever been in a prior accident to see if the airbag previously deployed. If so, you may want to have the vehicle checked by a certified mechanic at a reputable service facility prior to purchasing the used car. One good tool to use when investigating prior accidents of used cars is Carfax. A vehicle may be considered defective due to a number of factors. Perhaps the manufacturers failed to include certain safety features that were available, or those safety features may not have perform up to standards. Airbags are considered an essential safety feature but sometimes, airbags may fail to deploy, or may deploy with too much force or cause metal debris to shoot around the cabin, making them unreasonably dangerous. Another key safety feature that is included in most vehicles is the Electronic Stability Control (ESC), which is designed to improve the driver’s ability to handle the vehicle under unusual circumstances. The ESC also has an effect on vehicle stability, to ensure that the driver maintains control of the vehicle. A vehicle that is not equipped with an ESC system may be considered defective, or a vehicle may have a faulty ESC system, and maybe consider unstable. “Stability,” measures how likely a vehicle is to roll over in an accident. Another common automotive defect comes with the gas tank. Defectively designed vehicles, or vehicles with defectively designed gas tanks both can be very dangerous, because the fuel can catch fire, and cause serious damage to the vehicle and/or serious injury or death to the occupants. In many cases, gas tank fires result from excess gasoline being released from the tank after a crash. This can happen when the filler neck is pulled out of the tank, or when the guarding around the tank fails and the tank becomes punctured in a crash. In either case, this may be due to a defective gas tank. Another major source of automotive defects is the tires. The most common types of tire defects are delamination or detread, both of which involves the various layers of steel belts separating from each other and the outside tread. Whenever large strips of tread, or even smaller chunks of the tire separate from the tire while the vehicle is driving down the highway, the likelihood of a blowout, which is a sudden and dangerous loss in air pressure, is severely increased, as is the driver’s ability to control the vehicle. Both of these circumstances create a very dangerous situation and make a defective tire accident a much greater possibility. Over the past year, our personal injury attorneys have seen a record number of recalls due to automotive defects of various kinds, involving many different parts of many vehicles. The numbers seem to indicate that automotive defects are not a small problem. If you have been seriously injured or you have lost a loved one in any sort of the vehicle crash, an automotive defect may have been the cause. Too often, the victims of accidents caused by automotive defects have no idea that the defect was a cause of their injuries. For an experienced personal injury attorney contact Hill Law Firm for a free case evaluation!